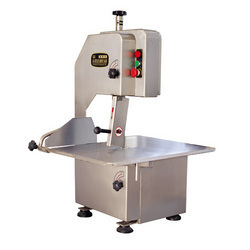 Our product range includes a wide range of bone saw and meat mincer. Our esteemed clients can avail from us an exclusive range of Bone Saw with premium material in usage. These are available in various sizes and can be customized as per the specifications given by the clients. These are used for cutting the meat with less effort as required in less time and are well known for high strength, high performance and long service life. We manufacture these products at cost efficient prices. We also ensure that our range is free from any defects and ideal for application. 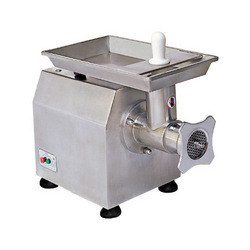 We are well established manufacturers and suppliers of an extensive range of Meat Mincer which is well known for the cutting of meat in to various sizes. They are accurate in functioning and are highly durability features. Our range is available in different sizes, which can be customized as per the requirement of our clients. Furthermore, our range is also appreciated to prevent from corrosion resistance. Looking for Non Veg Cooking Equipment ?